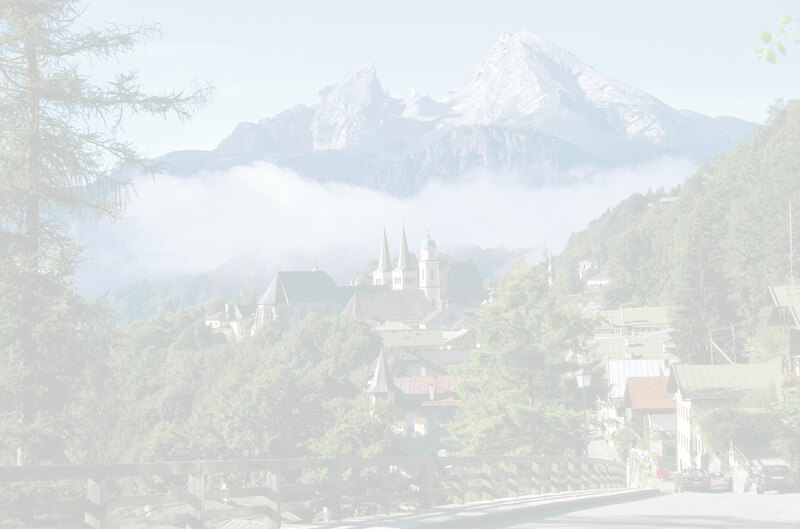 Are you travelling together with friends, family or in a small group? Or you just don’t want to spend all your savings for accommodation and you don’t mind sharing your room with other travellers? In that case our 4- to 8 bedrooms are just right for you. 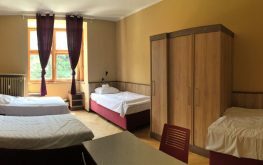 The rooms are friendly and bright and equipped with real-wooden furniture. 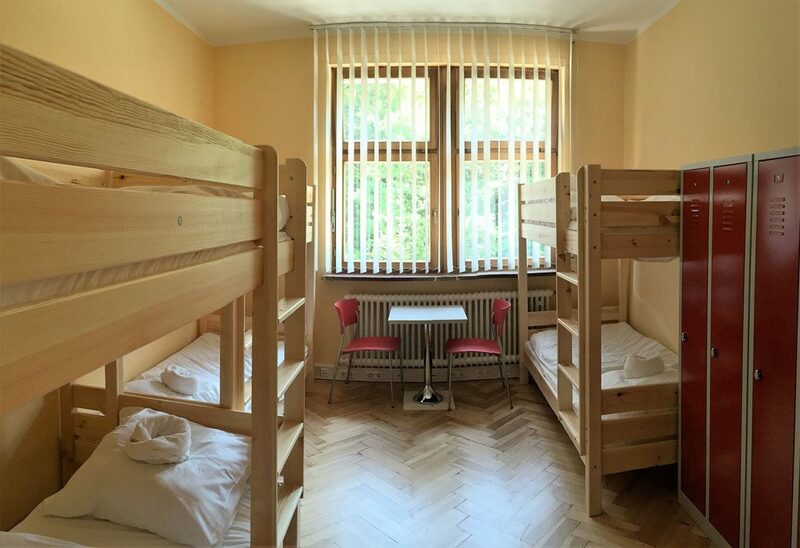 The Standard Rooms are equipped with bunk beds, a wardrobe (1 door) and a chair. All rooms are equipped with central heating. You will enter your room safely using your own unique room key. 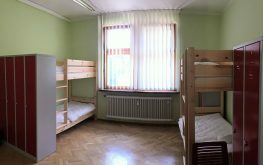 The beds are already made and a large towel is also included free of charge. On the corridor you will find washbasins, showers and toilets (separately for ladies and gents). Are you travelling together with friends or family and you want to share a room? Our comfort rooms are friendly and bright and equipped with real-wooden furniture. 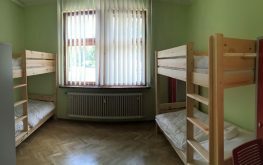 You will find comfortable box-spring beds (no bunk beds), wardrobes (1 door each), bedside tables and reading lamps above the beds. 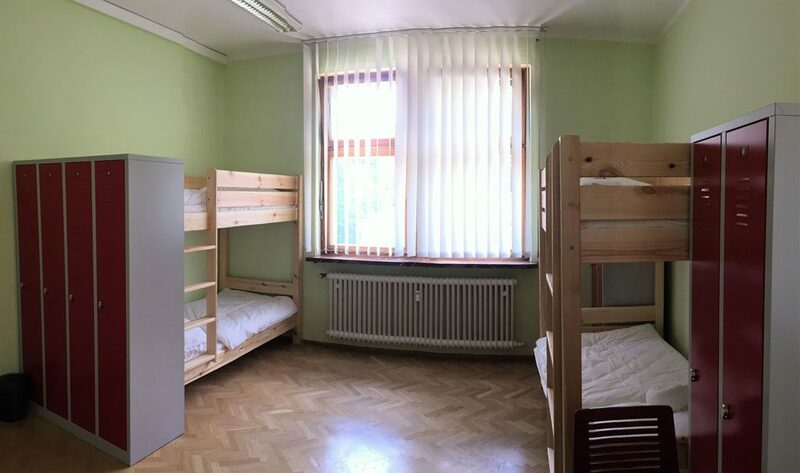 The rooms feature central heating. You’ll enter your room safely using your own unique room key. All our comfort roos are equipped with an in-room-safe. The bed is aready made and a large towel is also included free of charge. On the corridor you will find washbasins, showers and toilets (separately for ladies and gents). 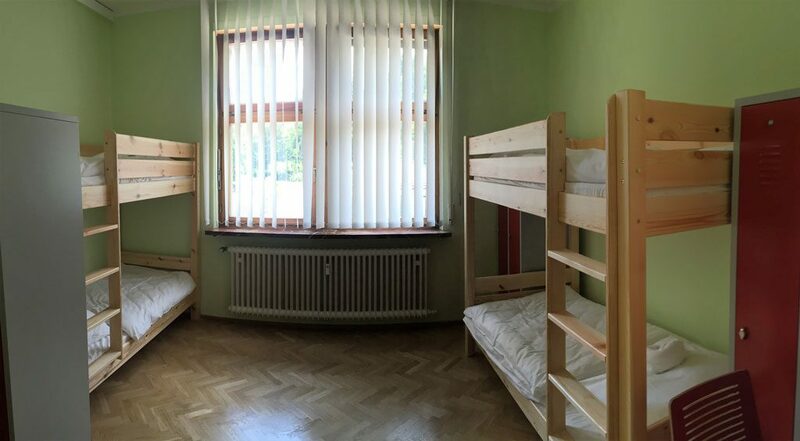 Twin and Triple rooms can only be booked as an entity, 4- and 5-bedrooms are mixed dorms and can be booked per person. The amounts stated include bed linen and a towel for your corresponding booking period. The visitor’s tax about actual 2,60 € per adult is also included in this price. What does the visitor’s tax mean and how do you benefit from it? When checking-in you will receive a „Guest Card“ („Gästekarte“). On presentation to certain service providers, for example bus and train operators, you get a reduced fare. This also applies for charges raised for many local exhibitions and tourist attractions. So, don’t forget: For your maximum benefit always carry along your Guest Card and return it to your host together with your room key when checking-out!